Designed with accessibility in mind, our e-commerce websites give you everything you need to manage your inventory with ease – we will provide you with the tools you need to sell successfully online. You can change or add new products, upload photos, set stock levels, configure prices, as well as manage shipping options and delivery. Organise the products you are selling online into special categories or collections. This functionality is perfect for industries with multiple product lines as it allows you to sort styles, colours and sizes. 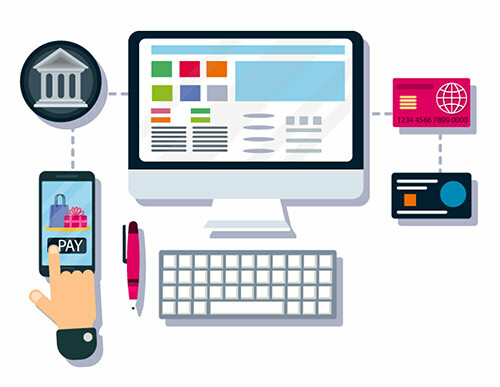 Our e-commerce websites are designed with usability in mind. We build mobile responsive e-commerce websites so that your pages will automatically adapt their layout to suit the user’s device. Mobile is an important channel for e-commerce and has become one of the main sources of traffic. 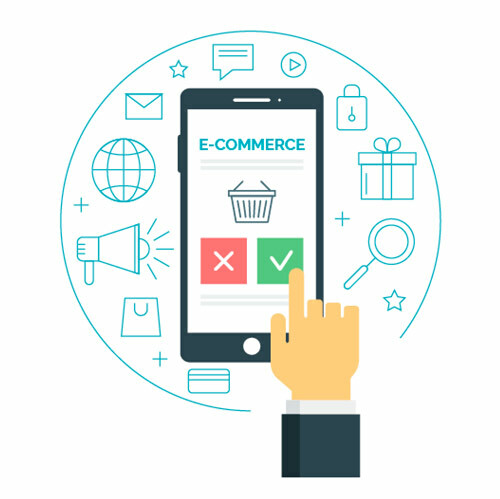 Many users will access your website through their mobile or tablet rather than on a desktop so it is essential that your e-commerce site is up-to-date with a mobile interface.